Mindresunde Camping is a campsite with 40 touring pitches and 10 year round pitches. 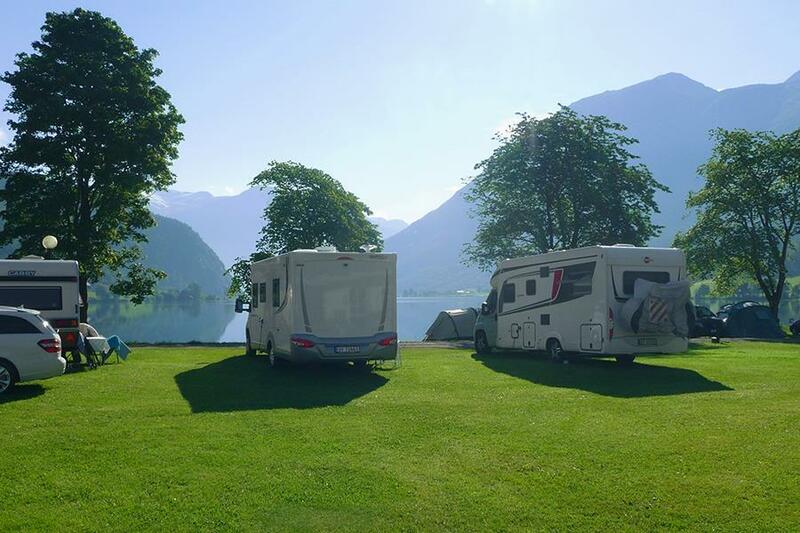 During low season, between 01-05-2019 - 09-06-2019 and 28-08-2019 - 31-10-2019, the nightly rate is €20,- at one of the 40 touring pitches at Mindresunde Camping in Stryn (Sogn og Fjordane). At this campsite you can not only use your CampingCard ACSI for inexpensive camping, you can also use your ACSI Club ID (as an alternative ID). Campsite is idyllic and located directly on the Strynevatnet (lake) next to the beautiful road over the Strynefjell (road 15). A perfect base for day trips, fishing, and hikes nearby. Beautiful, partially-covered barbecue spot, for both individual and group use. Wooden logs are ready for you to use. CampingCard ACSI will send your information request to "Mindresunde Camping".